As you reach your 50's, retirement is no longer that 'far off dream' but a reality just around the corner. Your kids are grown and headed out into the real world. It's time to start making concrete plans for the next stage in your life. 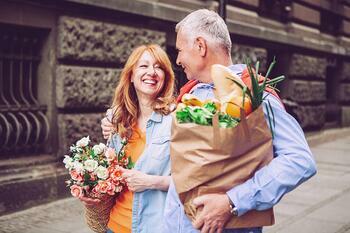 Check out some of the steps you need to take in your 50's to ensure your financial future is set. Now is not the time to add major debt to your record. If you want to downsize, don’t let that turn into a new long-term mortgage. If a new home looks like it will take a large chunk of cash following retirement, maybe look at some less expensive options. With retirement just a few years away, you need to sit down and make a plan of what you want your future to look like. Think about the things you enjoy doing. Will you continue doing these things or even expand on them? Will you start traveling more? Maybe spend more time with friends or family? Whatever you want to do, you need to start budgeting for that lifestyle now. Include your children in your plans. Let them know the expectations if you are planning on supporting them in some aspects as they reach adulthood. This is especially important if you are not planning on supporting them at all. While you want your kids to be happy and comfortable, you can’t do this at the risk of your own financial security. You’ll also want to look into long-term care insurance. Since premiums are based on age, the earlier you purchase insurance, the better. If you’ve never worked with a financial advisor, now is a great time to start, especially if you have a complex estate. An advisor can help you with investing, retirement planning, life changes, saving for college, and more. Here are some example questions you should ask if it’s your first time with an advisor. What are your credentials, licenses, or certifications? What is your firm like? At this point, your portfolio should be a well-diversified mix. However, if you haven’t saved as much as you should have, you should start moving towards more low-risk options, such as CDs and municipal bonds. If you’ve saved well throughout your career and planned well, you may be able to take a few more risks when you can afford to let your savings fluctuate for a higher long-term return.